20 young Naga students cleared the Music Theory Examination conducted by the London College of Music with flying colours. Seven of them scored 90% and above marks, five secured 70% while eight passed with 60% and above marks, sources said on Saturday. The students achieved the feat after the Secheku Children Music Ministry founded by Khrowutso Letro, a young talented and accomplished musician, took music lessons to 13 villages. Letro used to travel to the villages on a motorbike to give music lessons to the children to promote music, instill confidence, Christian values and leadership skills among the children of rural villages. The 13 villages fall under Sucheku area under Chizami subdivision in Phek district. The children, after receiving two classes per month since March 2015, appeared for the Music Theory Examination conducted by the London College of Music. Overjoyed with the performance of the students, the Secheku Children Music Ministry organised a felicitation programme for the successful students on Thursday. 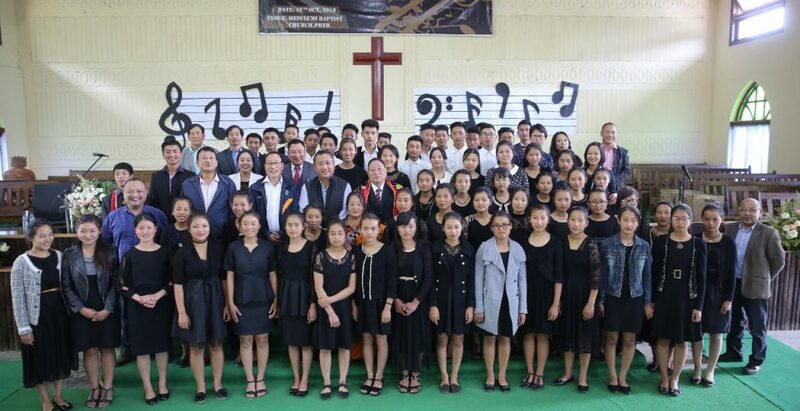 The Nagaland school education department launched the music curriculum under Rashtriya Madhyamik Shiksha Abhiyan (RMSA) on the felicitation programme of the students at Mesulumi village Baptist church in Phek District. The music curriculum is being introduced as a co-curricular activity in government schools. Additional chief secretary and finance commissioner Temjen Toy felicitated the students with certificates from the London College of Music along with violins for the top three and token cash incentives for the remaining 17 students. He congratulated Letro for his work through Secheku Children Music Ministry and encouraged the students to strive and excel to become assets for the society. Principal secretary for school education Menukhol John launched the music curriculum under RMSA. He said Government Higher Secondary School Pfutsero in Phek district will be the first school to introduce the music curriculum. John said the music curriculum was approved by the Centre on a pilot basis for Nagaland to add colour to the school curriculum so as to attract and retain possible dropouts in schools. The programme was chaired by mission director, Samagra Shiksha Abhiyan, Kevileno Angami. Altogether 500 people, including district administration and school education officials, village functionaries, church leaders, parents and children attended the programme.